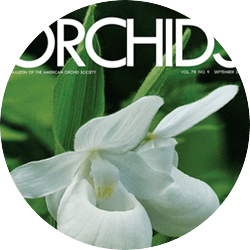 The American Orchid Society’s highest honor for distinguished work in orchid culture, in scientific research on orchids or for outstanding service, has been conferred upon these individuals. 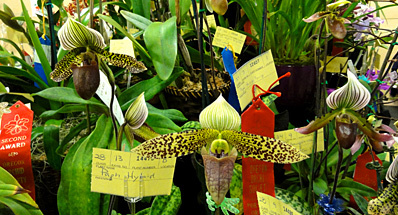 Since April 1972, the Silver Medal has been awarded to an individual in recognition of distinguished single-project contributions for outstanding service to the AOS or the orchid community. Prior to that time, the Society’s Silver Medals were utilized as plant, art or exhibition awards. 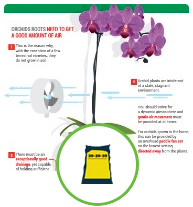 Awarded to an individual or organization in recognition of contributions in any facet of orchidology, including philanthropy and public relations (promotion of orchids or the AOS). 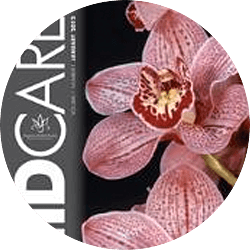 The Certificate of Meritorious Achievement in Orchid Education is presented to an individual or individuals for long-standing endeavors in the field of orchid education. The Thomas Sheehan Award for Outstanding Service by an AOS Volunteer. Named in honor of Dr. Tom Sheehan—dedicated professor and tireless AOS volunteer, judge and international ambassador—this award recognizes and applauds a member who has demonstrated sustained and exemplary volunteer service that leaves a lasting positive impact on the AOS. 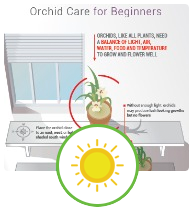 Having quietly cultivated a proven history of commitment to the AOS, award winners possess a record of advancing its mission through unique volunteer contributions and extraordinary support of its programs and events. Current officers and trustees will not be considered for this award. 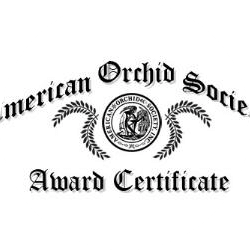 The Ambassador Award is granted in recognition of a lifetime of exceptional volunteer service to the nonprofit organization as an ambassador for the Society, carrying out the goals and aims of the AOS to the orchid world. The President's Award is granted to someone whom the president of the AOS feels has made an outstanding contribution to the Society. 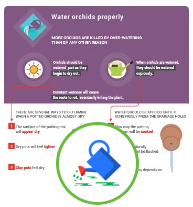 Fellows of the AOS may be elected by trustees in recognition of their outstanding contribution to the scientific, horticultural or educational advancement of the Orchidaceae. 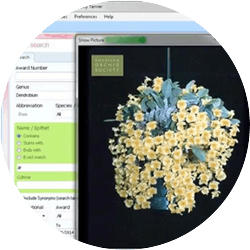 This award honors an individual’s lifelong commitment to hybridizing. The DASSA award recognizes long-term service to the AOS and to the members of the affiliated societies.